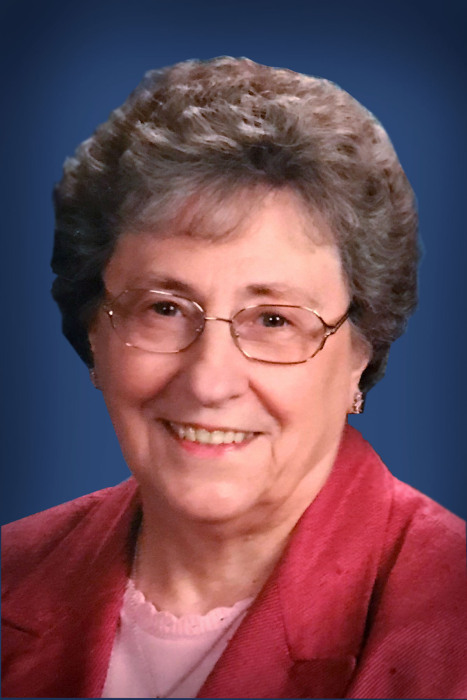 Doris Lenore Yost entered into the presence of her Lord and Savior on Monday, November 19, 2018. She was born November 16, 1931 in Billings, Montana to Dan and Martha Walter. There she grew up and on June 25, 1950, she married the love of her life, Louis Yost, also of Billings. She joyously served beside her husband as a Pastor's wife for 28 years, first in Hamilton, Montana, then in Mossyrock, Washington and finally at the Rome Community Church in Bellingham, Washington. Doris was dedicated to serving the Lord and raising her family. She was so happy to welcome her daughters-in-law to her family and especially the 18 grandchildren and 10 great-grandchildren that followed, whom she adored with all her heart. She was known for her beautiful handwork of all sorts and she lovingly created cherished keepsakes for her entire family. Her happiest times were with as many family members as she could possibly have at one time around her. Doris is survived by her husband of 68 years; four sons, Dan (Eileen), Andy (Cheryl), David (Rongi) and Paul (Kay); and her many grandchildren and great-grandchildren. She was preceded in death by her parents, brothers Donald Walter of Blaine, Washington and Jim Walter and Ivan Walter of Billings, Montana. Mom's legacy is the wonderful example she set for all of us as a woman living her life for Christ. A memorial service will be held, Dec. 3, 2018, 1:00 PM at Christ Fellowship Church, 1208 E Main St., Everson, WA 98247 with Pastor David Steele officiating. Private family interment was held at Greenacres Cemetery.